When the Richmond Tigers won the AFL Premiership in 2017, it was rather like a fairy tale. In Tiger's Roar, one of the team's players, Alex Rance, tells the story of a young tiger who finds himself unseated from his position at the top of the jungle's tallest tree, and loses his roar. Tiger is encouraged to not give up. He tries different approaches to regain his roar and climb back to the top of the tree. He practices howling like a monkey, hopping like a rabbit, and pushing over a tree like a rhino. Finally, some good advice from the Silverback gorilla reminds Tiger he shouldn't try to be someone he's not. Tiger needs to be himself and use the talents that make him special, and it doesn't matter if he's not king of the jungle as long as he's proud to be a tiger. But perhaps he will make it if he keeps trying, and with a little help from his friends. Inspired by the experience of his own football team working together to achieve the premiership, Alex Rance has created an uplifting story about a tiger who learns from others, and works with them to make it to the top -- of a tree. Shane McG's illustrations have a great sense of fun, with a little bit of quirkiness, and help make each of the characters appealing. 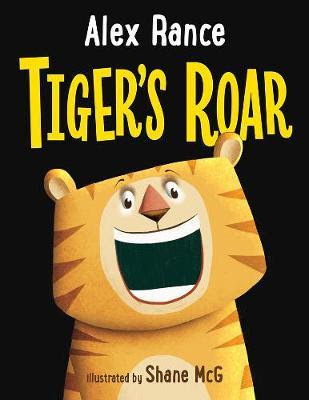 Tiger's Roar will have young children re-reading and roaring like tigers themselves. And if you or someone in your family is a Richmond fan, it's something a little different to add to your fan memorabilia!